San Gil wasn’t always on our Colombian itinerary. In fact, it wasn’t until we were in Salento that we heard about the city and all of the adventure sports on offer there. We’re big on adventure, but not extreme sports like whitewater rafting, bungee jumping, skydiving, paragliding, etc. We’re more about camping, caving and trekking! But, we figured that San Gil would be the best place to start our life of jumping off of cliffs. At first glance, San Gil isn’t the most aesthetically pleasing city. But, dive a bit deeper and you’ll start to enjoy the non-touristy nature of it. 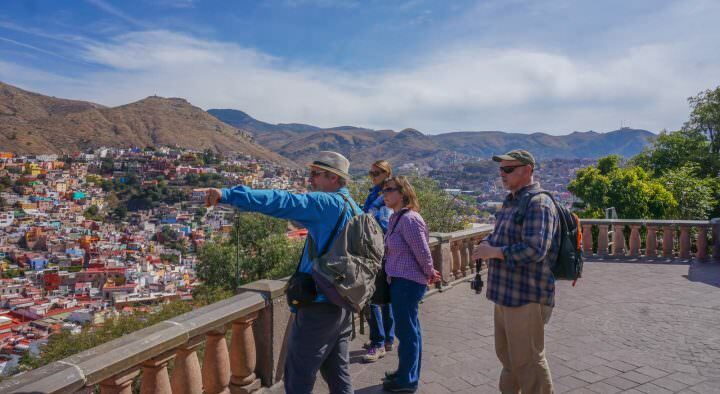 This is a city that doesn’t really have anything going on for travellers (except for a park and one awesome restaurant, Gringo Mike’s) – all of the action in the area is outside of the city. 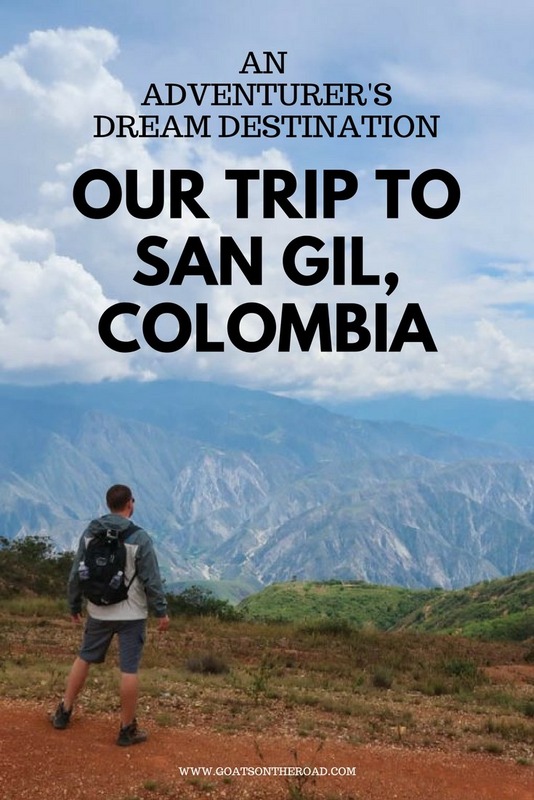 San Gil itself is a local city with Colombian people going on about their day-to-day lives. You won’t find tacky tourist stores or any sort of hassle. You’ll be able to wander around the plaza, park or streets without worrying about being the odd one out. It’s as if the locals here aren’t interested in tourists. I don’t mean this in a negative way either, it’s more like they don’t treat you any differently. 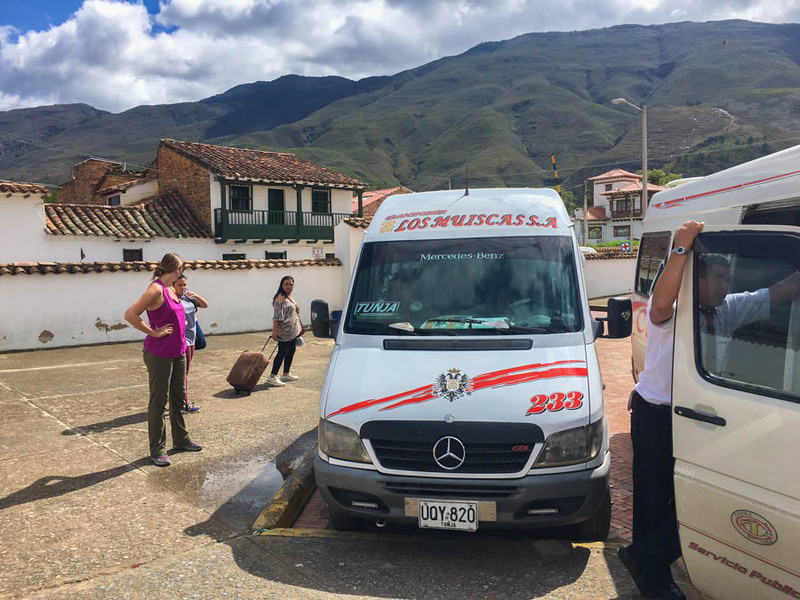 From the town of Villa de Leyva, we hopped on a minibus to take us to the town of Tunja where we switched to a larger bus to complete the 5 or so hour journey to San Gil. Checking in to Sam’s VIP Hostel was efficient and easy, and our room was amazing. It even had a jacuzzi! The receptionist dropped a binder on the counter and told us this was the booklet that listed all of the things we could see and do around the city. As we were flipping through the pages, we were constantly saying “Oh! 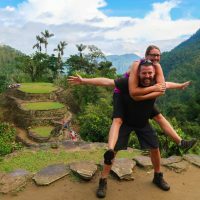 We should definitely do that!” But then we realized that we only had 4 nights here and we couldn’t fit in all of the awesome excursions. We needed to be cut-throat with our activity decision-making. 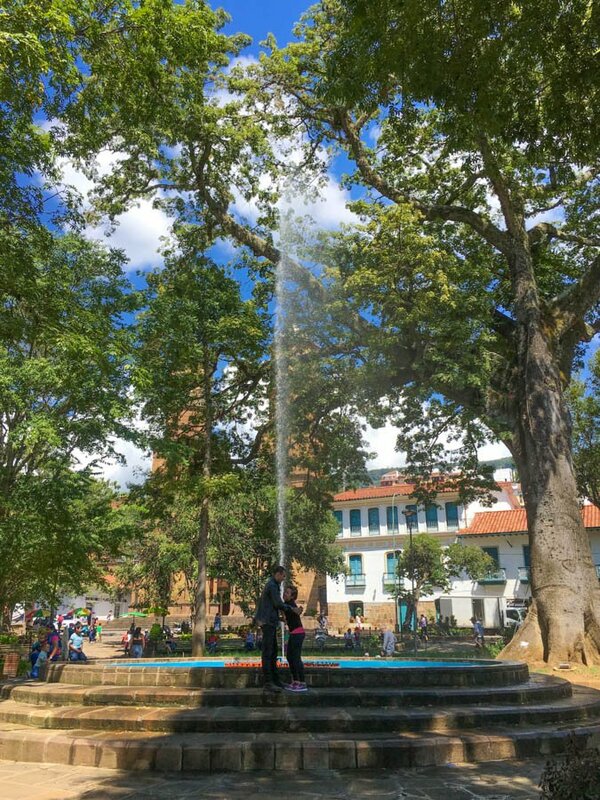 To make use of the afternoon when we arrived, we ended up wandering around the streets of San Gil and visiting the beautiful El Gallineral Park. 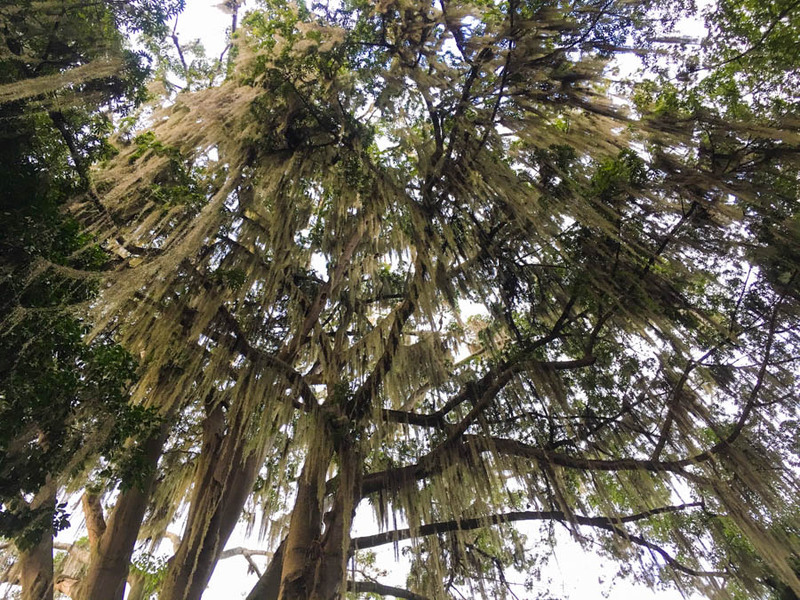 This massive 4 hectare park is loaded with trees covered in “old man’s beard”, which is a silvery moss that dangles from the branches. We wandered riverside and checked out the trees. This may not be adventurous, but it was a peaceful place and since we arrived at 3:00pm, we were too late in the day to venture out of the city. The moss hanging from the trees was unlike anything we’ve seen before! Over a few bottles of the local El Dorado beer that night, we decided that the following day we would go paragliding. We even booked our tickets so that we couldn’t back out the next day once our “liquid courage” wore off! 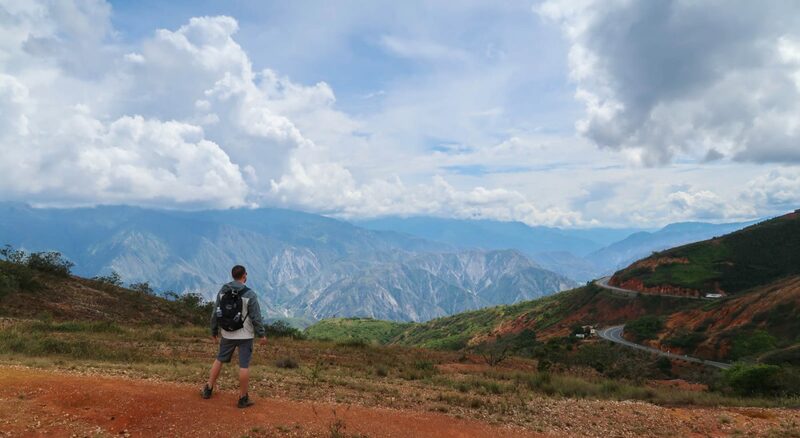 The drive out to the Chicamocha Canyon was very scenic, but once we arrived at the canyon itself, we were blown away by its imposing size. We gathered together with the other travellers and were briefed on safety and given instructions for what to expect, and what we needed to do in order to make the take-off, flight and landing a successful one. Naturally, as someone who is not-so-stoked about heights and/or jumping off of cliffs, I had a lot of questions. “Wait, so I put my hands through which loops?” “OK, so at precisely what point do I sit back on the seat?” Thankfully, the pilots were patient with me and my repetitive questions. Unloading the gear – this is getting real! The windsock was blowing quite hard and the dark clouds were rolling in. But, the pilots set up the parachutes anyways. One by one, our fellow travellers ran and jumped off of the edge. Everyone caught thermals and circled higher and higher up into the sky. We even heard one girl screaming from way up there – this wasn’t all that comforting for those of us waiting our turn. Finally, Nick and I were up along with 2 others. We had waited probably 2 hours for the weather to sort itself out. All of the waiting just made us (me) more anxious! “Dare-ee-ess (close enough), please come”. I walked over to the parachute and greeted the man who was taking my life into his hands. A few guys clipped me in and before I knew it they were yelling “Ruuun! !” We started running, but the wind didn’t catch the parachute. Standing partway down the cliff we tried again, but it was more like hopping at this point as opposed to running. I did as instructed and sat back in the harness while looping my arms through the straps. It took me a few minutes to get up the nerve to let go of the straps that I was clutching. But, eventually I relaxed and took a few photos. I was too nervous to let go of the harness, so this is pretty much the best picture I got of myself! We soared up over the ridge and caught some pretty good thermals. My guide / pilot was great and he actually competes professionally around the world, so I was in good hands, albeit, young ones. This guy in his early 20’s spoke a little bit of English, but mostly it was Spanish: “Todo Bien?” (all good?) ““Listo para bajar?” (Ready to go down?). Even though he only spoke a little bit of English and I only speak a little bit of Spanish, I felt completely comfortable during the flight. After about 35 minutes or so, we began our descent back to where we took off from. The landing was simple and graceful. I enjoyed the flight, but it was a relief to be back on solid ground! Within minutes of my landing, Nick came barreling in not as graceful as me. In fact, the “thump” sound caught everyone’s attention on the mountain and we all broke out into laughter – including Nick and his pilot. We were both proud of ourselves for having the courage to try something new. We were especially grateful that we were able to catch thermals and land in the place we started – one traveller ended up at the bottom of the canyon. Arriving back in San Gil, we went out for some celebratory burgers and margaritas at the delicious (ie: not so healthy) Gringo Mike’s restaurant. We chatted about our accomplishment and decided on which adventure we should tackle the next day. La Cueva de la Vaca (The Cow Cave) is located in the town of Curiti, which is about a 30 minute bus ride from San Gil. We hopped on the local bus, paid 5,200 pesos ($1.75) and made our way to the small town. We were greeted by Leonel and followed our guide through a field to the entrance of the cave. It was just the two of us and our (non-English speaking) guide. But, it didn’t matter, we were able to understand him, and he was a very cool guy! There was a metal ladder at the entrance to the cave, which leaded down into a very dark hole. This wasn’t a “ground level” cave, it was more like a cenote in Mexico. We were going underground. Just a few steps into the pitch-black cave, we were greeted (unexpectedly) with freezing cold water up to our knees! After another minute, the space narrowed and we lost our ability to stand upright. We had to crawl on our forearms and knees, as if we were in some sort of military drill. We were now fully submerged in the icy water, while laughing and loving it. Our guide trudged on ahead of us, warning where there were large rocks to watch out for, or random holes in the ground. Once out of the small opening, we stood up again and admired the stalagmites and stalactites – and bats – around us. The fact that there was no one else in the cave really added to the unique experience. Carrying on we arrived at an area with water as deep as our chests, and what would appear to be a dead-end. 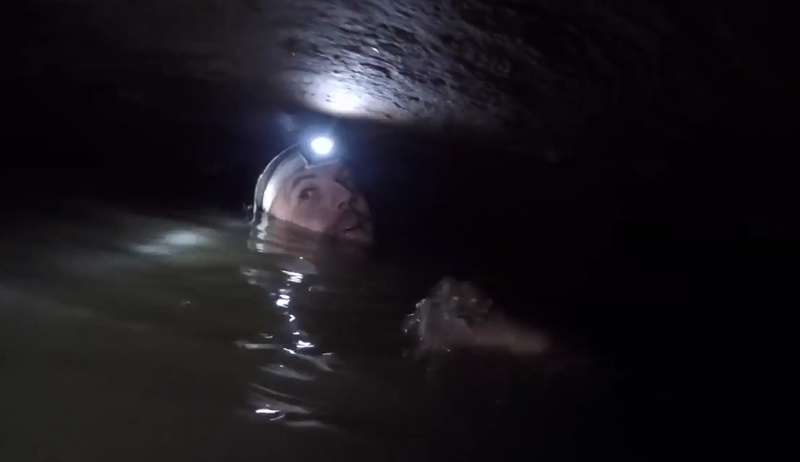 We were told that the cave continued on, but that we needed to swim underwater for a few seconds before we would arrive at a (small) opening on the other side. There might be an area for us to tilt our heads up to grab a breath along the way, if the water levels weren’t too high. After much discussion and clarification (I even asked for him to give me a demonstration! ), we were set. One big breath, and under the water I went – helmet, headlamp and all. A hand grabbed me on the other side and I popped up to meet Leonel. It was thrilling! And in reality, it was quite easy. But because I don’t love small spaces, I was more concerned than others might be with how long I’d have to be underwater, in a small space, in the pitch black. Of course, scuba diver Nick came through no problem, and even stopped to take a little breath of air along the way. We continued on through the water before arriving at the finish line, a little waterfall! In total our journey in the cave was about 1.5 hours and it was a great experience. We actually didn’t realize that we would be doing a mixture of crawling, swimming and walking during our trip, but that’s what made this cave so unique. It might not be our favourite cave to date in terms of the actual aesthetics, but it was an adventure and a lot of fun. Highly recommended. As with the previous day, it was back to San Gil to have dinner and chat about what to get up to next! For our last full day in the city of San Gil, we decided to do a day trip to the nearby town of Barichara. We had heard that this little colonial gem is quiet and serene, and that’s exactly what it was. 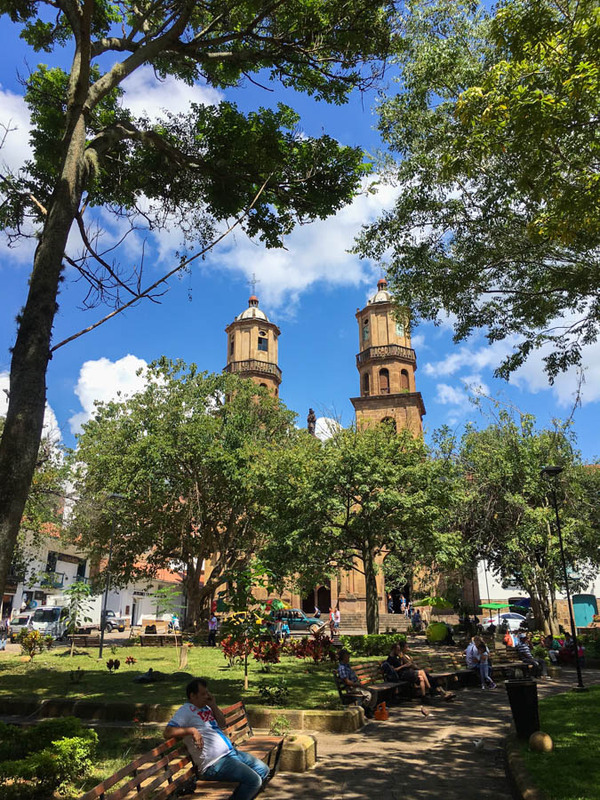 A massive church dominated the main plaza, while the locals relaxed on benches in the shade. We wandered the stone streets which were lined with blindingly white homes with rust-coloured, tiled roofs. This was one of the most peaceful, charming towns we’ve been to. After wandering around aimlessly, we made our way towards the start of a walk we had heard about – the Camino Real. 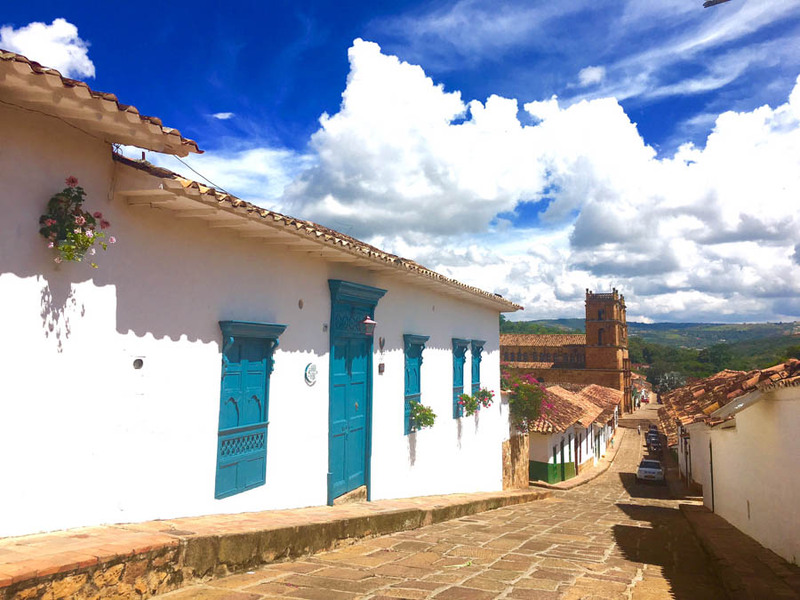 This ancient walkway connects the town of Barichara with the town of Guane. It was about 2:00pm and scorching hot, but we decided to go for it anyway. 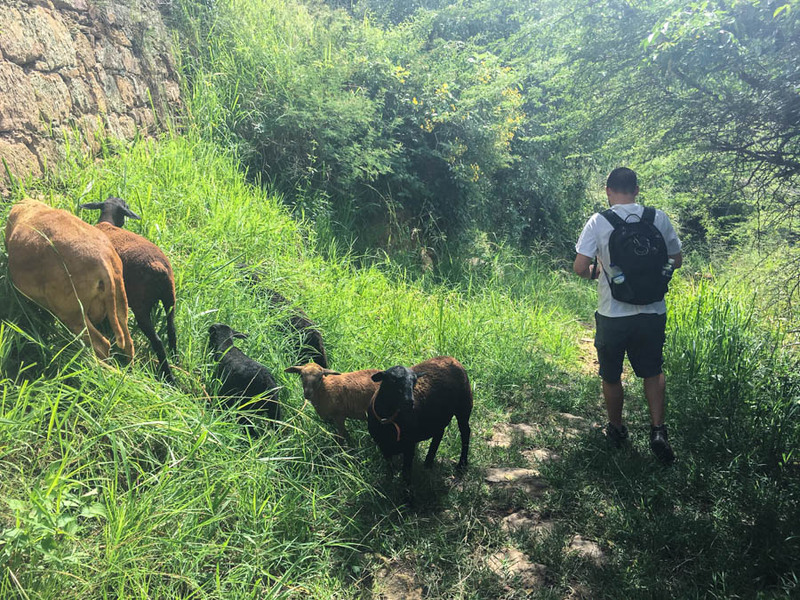 This stone path was built by the indigenous people of Guane before being used by the Spanish to transport goods between the two villages. Meanwhile, the rocks and stones that we walked on were built by a German settler in 1864. There was a lot of history on this path. The walk was stunning and we didn’t find it too hot. 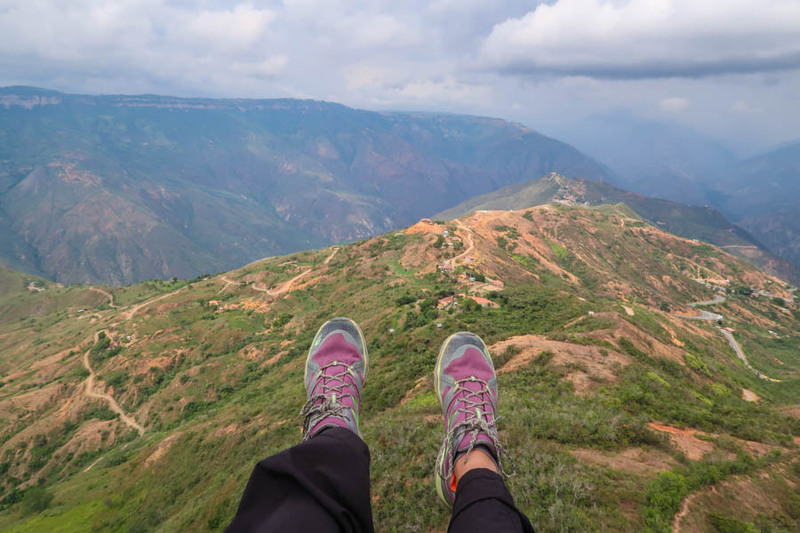 We were hiking with views of the Chicamocha Canyon that we had soared above just days before. Apart from a few other tourists that were ahead of us, and a few locals who walked by, we had the Camino Real to ourselves. There were lots of birds, leaf-cutter ants, sheep, lizards, cactus and interesting trees. The walk was about 9kms (5.5 miles) and took us around 1.5 – 2 hours, including a pit stop for water at a little house, and taking photos along the way. 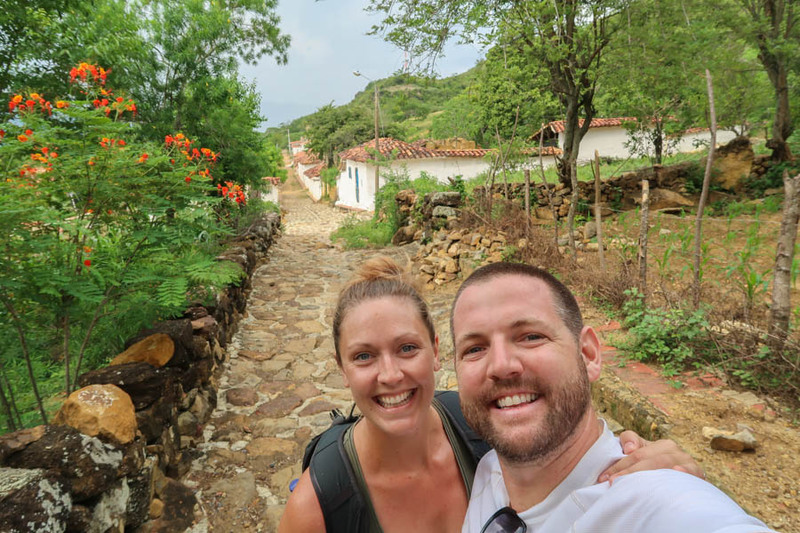 We arrived in Guane, an even smaller village than Barichara and after checking out the main plaza and a few back streets, we hopped on a local bus (13,200 pesos for us both) to take us back to San Gil. With just four nights in the City of San Gil, I’d say we accomplished quite a bit! This is a city that we could definitely return to. There are numerous activities that we didn’t even have a chance to try. Not to mention, we really liked the vibe of San Gil as well. Travel is all about stepping out of your comfort zone and going with the flow. I’m so glad that I was able to put my fears of heights and small spaces behind me, and that we put San Gil on our list, even though it was never in our “plans” for Colombia. In Tunja, switch buses for San Gil. There are minibuses or regular sized ones. The journey is about 4 hours, depending on many factors. The cost is 25,000 pesos ($8). The bus from San Gil to Curiti (Cow Cave) takes about 30 minutes and costs 2,600 pesos ($0.80). 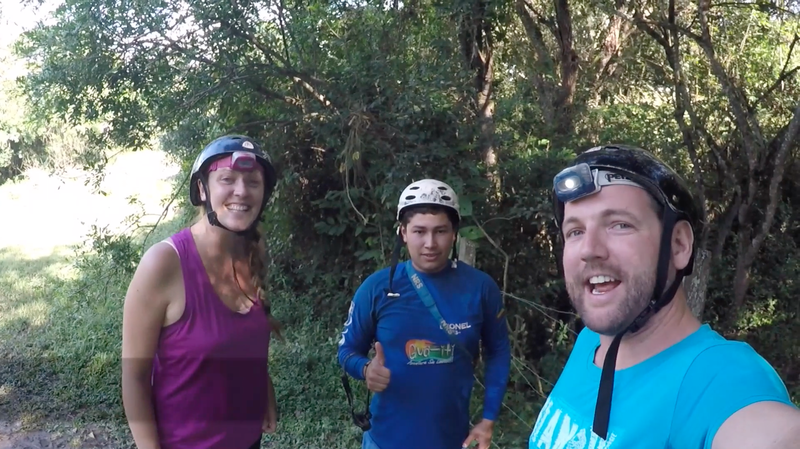 We went with Gua-iti Adventura tour company to take us in the cave. The cost was 30,000 pesos ($10). 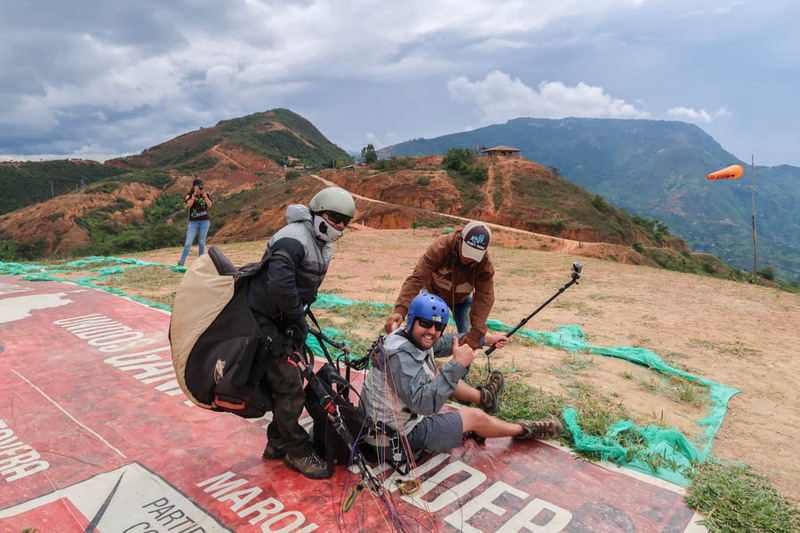 For paragliding, we went with Parapente Chicamocha. 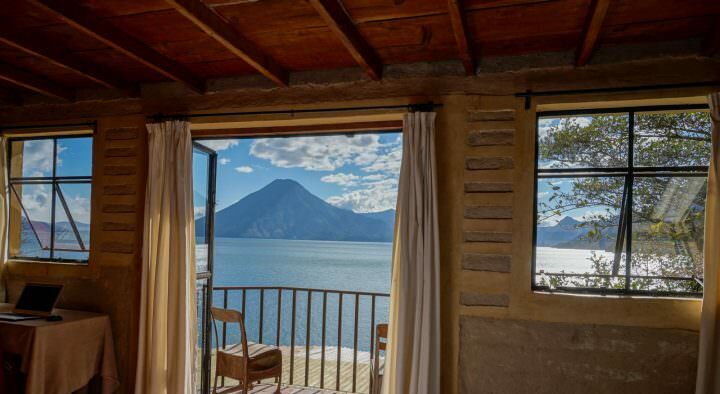 We booked the ticket through our hostel and the cost was 170,000 pesos each ($55). To get from San Gil to Barichara, just take one of the frequent buses from the station at Carrera 10 and Calle 17. The cost is 4,600 ($1.50) and it takes about 45 minutes to get there. In Barichara, eat at Shanti – an amazing organic, whole foods restaurant. There are lots of vegetarian options here. From Barichara, the hike to Guane starts at Carrera 10 & Calle 4 (North-West of Barichara). The cost is free and the duration is about 2 hours. Bring water, sunscreen and wear good shoes. 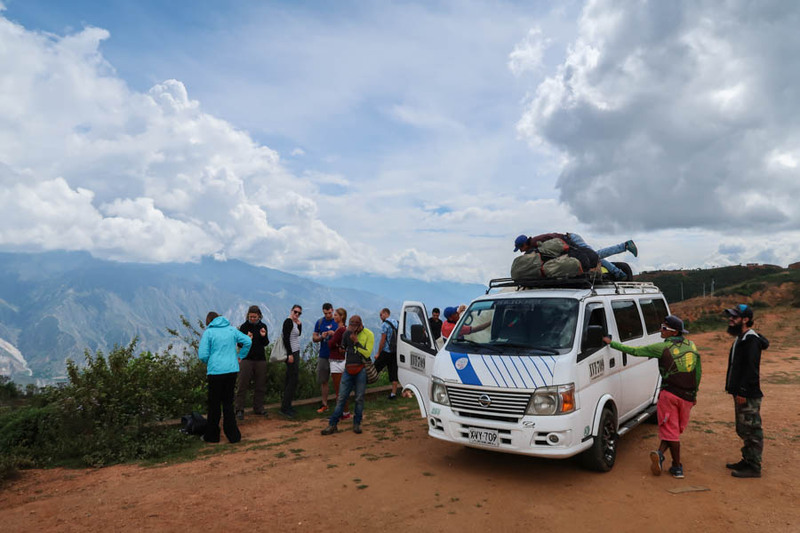 A bus from Guane to San Gil costs 6,600 ($2.15). In San Gil, eat at Gringo Mike’s and the Menu del Dia at El Mana. For coffee, head to the little cafe on Calle 12, just across from the main plaza. To get to Bucaramunga, head to the “bus station” (looks like a garage) on the main road by the river, San Gil – Aratoca and Calle 8. The cost is 16,000 pesos ($5). Note: if you are going to the Bucaramunga airport, tell your bus driver. 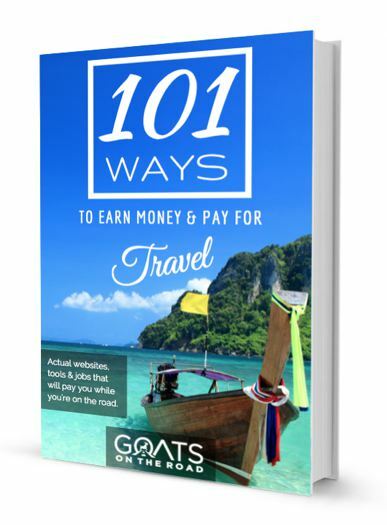 He’ll drop you at an intersection where you can then catch a taxi to the airport for 20,000 ($6.50). 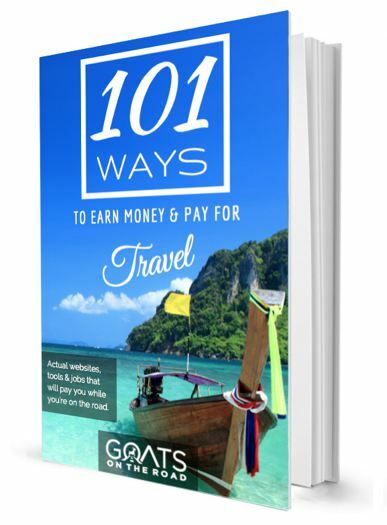 If you don’t tell him, you’ll arrive in the city of Bucaramunga and have to backtrack to the airport – and pay much more. Thanks for reading Erin! Ya, maybe that cave isn’t for you if you are claustrophobic. There are other ones though! I am so down for paragliding, and what a place to do it!! Way to go!! And that town of Barichara looks simply adorable – definitely going on my list! Hi Dariece, really love your posts on Colombia! 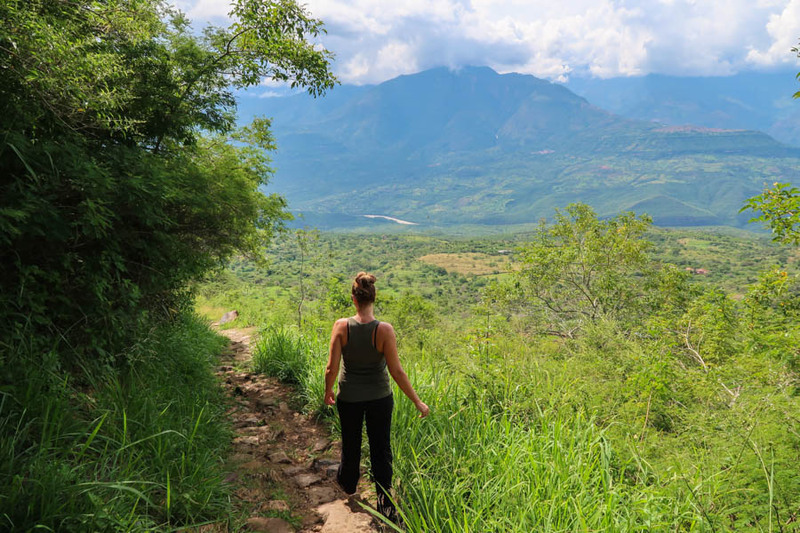 I’ve booked 3 weeks to travel around Colombia Jan 23rd – Feb 13th and I tend to suffer from massive FOMO! Due to cramming a lot in in 3 weeks I’m sadly left with a decision to drop either SAN GIL or SALENTO from my plans… Which would you say is most unmissable?! haha, you’re welcome! 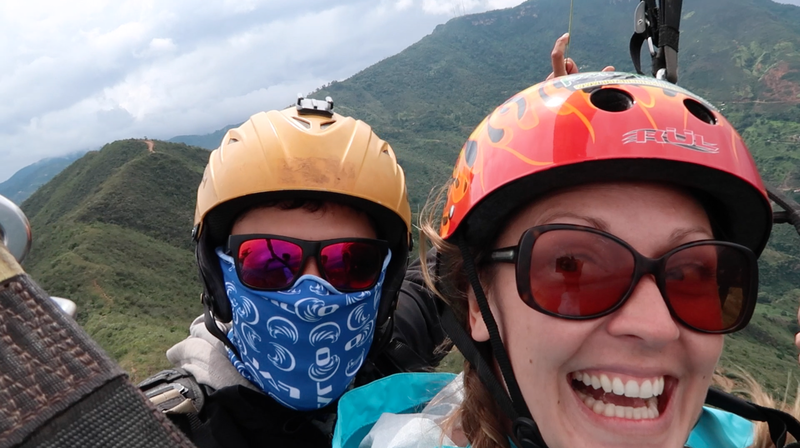 I’m glad you found the info useful…paragliding was actually a lot of fun and I’m scared of heights! Hi there, Dariece! 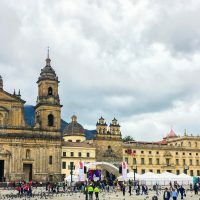 Love the blog and just finished reading through this post and was curious to know if you knew any more details about how often buses run from Tunja to San Gil? 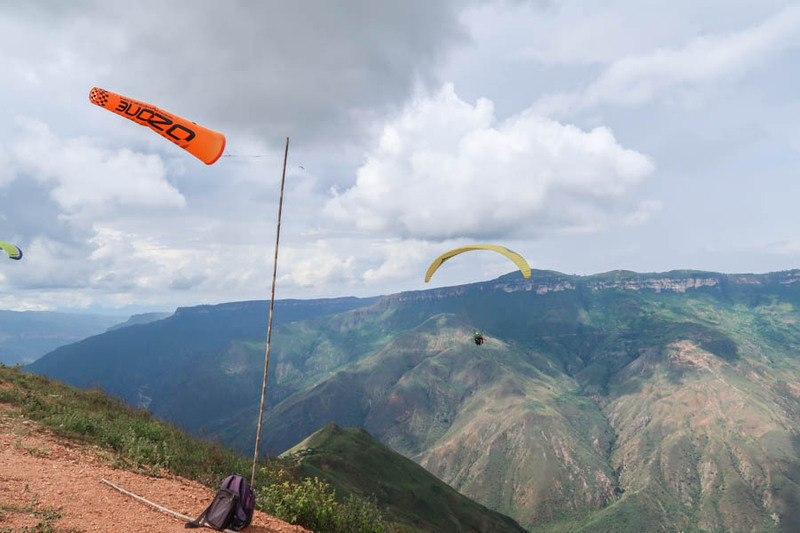 I would like to take an overnight bus (if possible) from Villa de Leyva -> Tunja -> San Gil and then go paragliding (your video sold me on that)! And, do you know when the last bus for San Gil leaves Tunja if there are no overnight options? Thank you so much for any feedback you can give me based on your experience. Looking forward to hearing back from you!